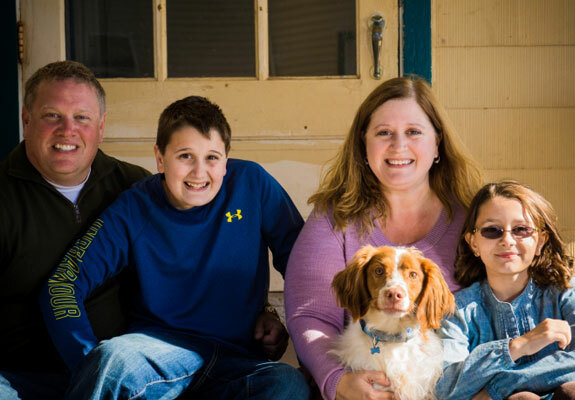 Denise Steffie recalls the first six years of son Colin’s life as “a big blur.” Diagnosed with autism at age 2½, Colin, now a middle school student, needed intense interventions during his early years. “This must be what it’s like to have triplets,” Denise thought to herself. The diagnosis meant major adjustments for the family. Denise quit her job to stay home full time. She and husband Dave postponed having a second child. One vitally important source of support for the Steffies in those early years was The Vista School®. Colin simply wasn’t receiving enough time elsewhere to improve, Denise said. When he could get 30 hours a week of Applied Behavior Analysis (ABA), a data-driven approach to treating autism symptoms, at Vista, the family started to see results. The first year, Colin spent all his time at Vista. Later, he attended preschool, with support, part time and Vista part time. Throughout his three years at Vista, “it felt like a collaboration,” Denise said. As a team, it was decided Colin was ready to transition back to his home school district for his Kindergarten year. Vista provided a consultant to ensure the transition went smoothly. This support gave Denise and Dave “peace of mind” that they were making the right decision. Now, Colin spends half his time in a regular classroom and half in special education. He’s especially good at rote memory skills. Math is one of his strengths, but he still needs learning support for reading and comprehension. In addition, he and his younger sister, Caitlin, swim competitively throughout the year, and Colin sings in the school chorus. The Steffies are thinking “outside the box” about what Colin might do when he exits the school system at age 21. Their confidence in finding solutions has grown over the years. After all, from the time they found The Vista School until now, their journey has been a discovery process. “We’re thankful that Vista got us started on the right path,” Denise said.